According to a survey, more than twenty five million children in the United States are online. This group represents the age groups of age two through age seventeen. Seventy percent of teenagers access the Internet on a daily basis. Many children spend their times talking with their friends and sometimes even strangers in chat rooms. Parents need to be aware of the dangers that chat rooms present, so that they can protect their young loved ones. Although children need a certain degree of privacy, they also need parental involvement in their lives. Pedophiles frequent chat rooms and online solicitation produces a great deal of distress for any child. Here ICQ Spy Software records everything they do on the computer - their ICQ chats, instant messages, emails, the web sites they visit, what they search for, what they do on Facebook and MySpace, the pictures they post and look at, the keystrokes they type, the programs they run and much more. Do You Know These Warning Signs? Your children are talking to strangers on the Internet for a long time. Kids act different than they used to. Child turns off the computer when you enter the room. Spending long hours online (especially in the evening). Reluctance to discuss Internet activities. The best way to protect your child online is to show him how to use the Internet safely. We can help protect our children from online predators by asking them to follow some simple rules. Always use a "screen name". Never disclose your real name, school, phone number or where you live. Never exchange photographs over the Internet (or through the mail). Always tell mom/dad if they receive any ominous communication that is frightening or upsetting. Never agree to meet anyone in person that you met in a chat room. Never agree to enter private chat rooms. As long as your child follows these rules, no one can harm her through the Internet. But in the end, it is up to you to take an active interest in your child's online activity. 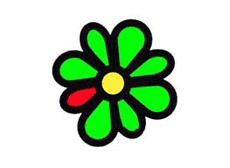 The Most Intelligent ICQ Spy Software Available! SurveilStar Any Parental Control has deservedly earned its reputation as not only the most trusted ICQ Spy Software in the world, but as also the most feature-rich, while being easy and intuitive. ICQ Spy Software will record all, email, chat and instant messages, web sites visited, program launched, and take snapshot recording in real time. With this ICQ Spy Software, parents can show all messages in ICQ Spy Monitor directly, export these messages to HTML files in a directory for later analysis, or send a report to your custom email address or FTP server. Everything will be recorded without being detected. It is especially useful for parents, who need to know what their kids are care and talking about with others. SurveilStar ICQ Spy Software records both sides of a conversation allowing parents to see what your kids are saying as well as how other chat participants respond. Besides capture ICQ's instant message, this ICQ Spy Software also can record any other instant messages sent and received by MSN/Live Messenger, Yahoo Messenger, Skype, etc. It can control sending IM files by name, and size. Backup sent IM files. SurveilStar ICQ Spy Software monitor children's online activities on the following Operation System: Windows XP, Windows Vista, and Windows 7. Want to have a try? Just download it for a free trial.